For sale in Therisso: Lovely two-bedroom home with pool ... excellent rental opportunity as well! 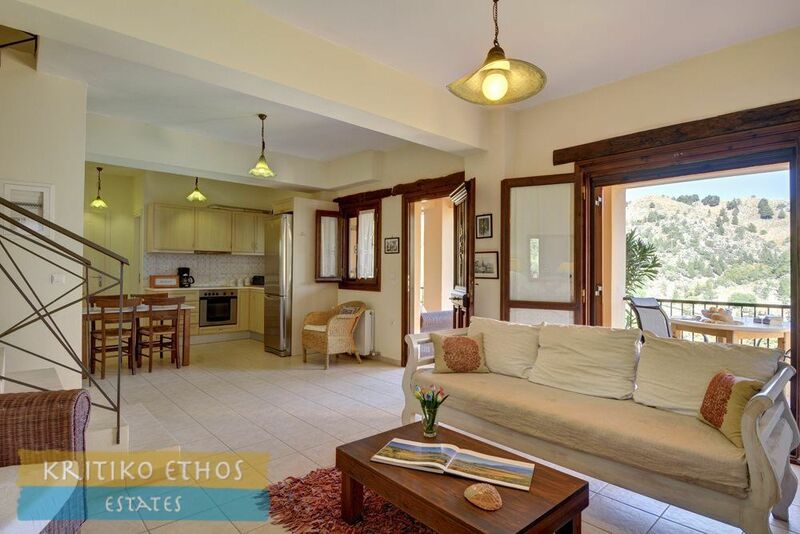 Home > Homes And Villas > For sale in Therisso: Lovely two-bedroom home with pool ... excellent rental opportunity as well! 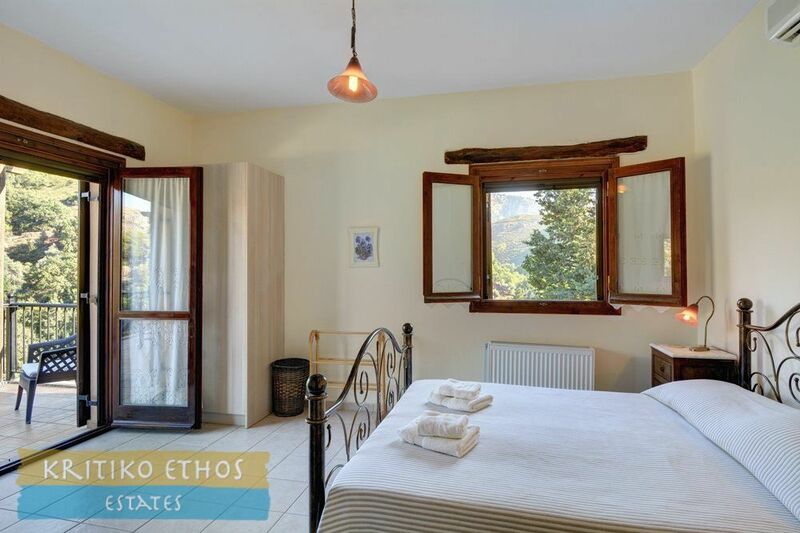 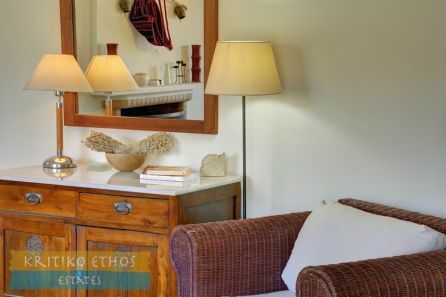 For those in search of total tranquility, this wonderful 105 sqm two bedroom villa in the small traditional village of Therisso is the ideal Cretan holiday home or permanent residence. 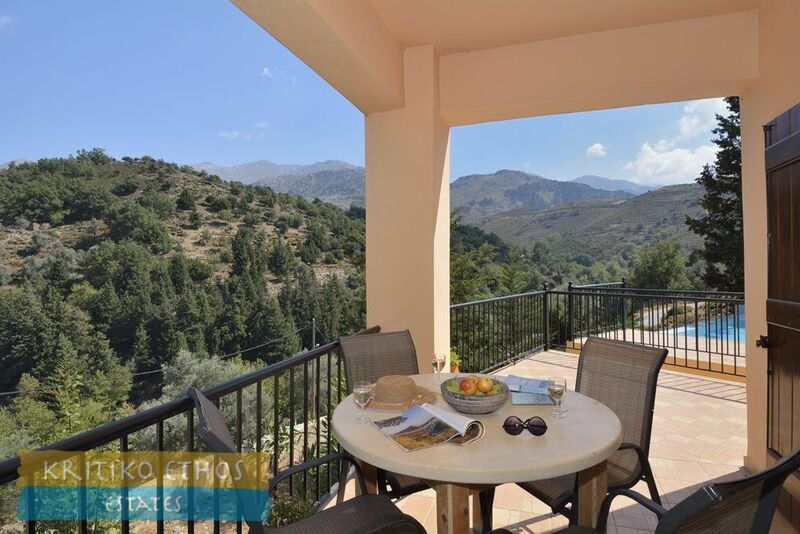 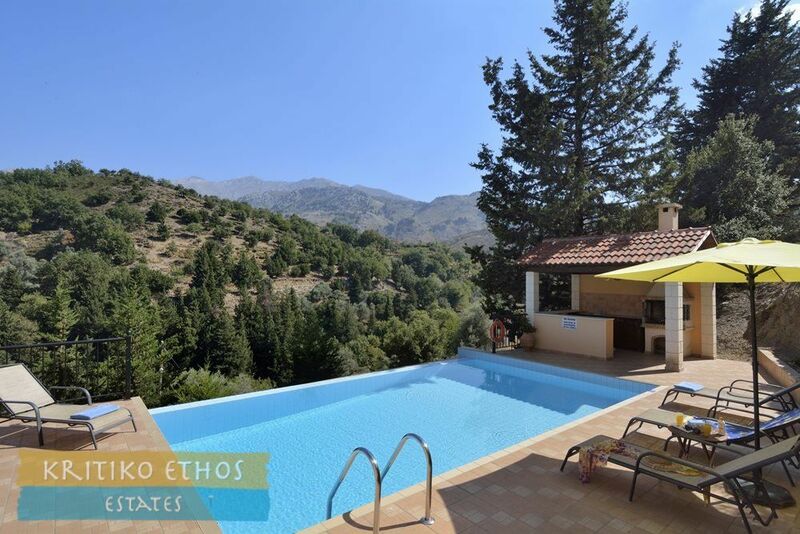 And it offers an excellent and proven summer rental opportunity, the village of Therisso is just 16 kilometers south of Chania, but it’s a world away from the hustle and bustle of the city, tucked away at the far end of a stunning gorge in the foothills of the White Mountains. 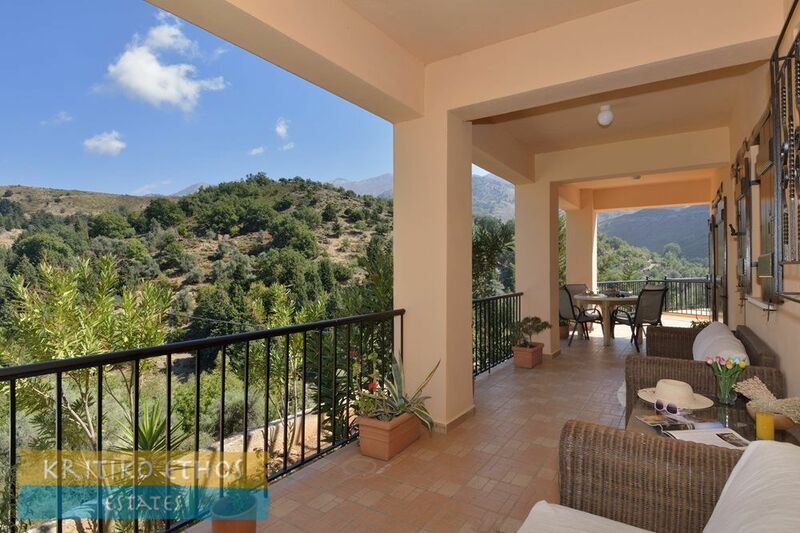 The owners have two homes on this plot, the beautiful villa described here as well as a second smaller one bedroom home. They live in the smaller home and use the main villa for summer rentals and have achieved a very good return on this investment! The second home is also available separately should the new owners choose to go down the same path to live in a superbly beautiful and traditional Cretan village and earn a substantial rental income. Completed in 2006, the villa is simply delightful, with classic charm and light and airy rooms. 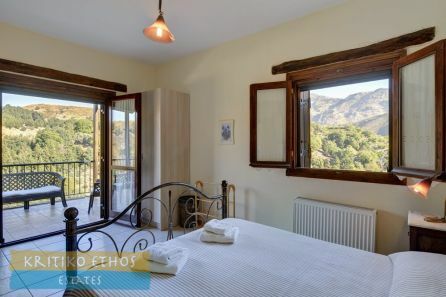 Fling the windows open and let the smell of pine trees breeze through, lie in bed and enjoy dramatic views of the peaks and valleys through the French doors, or enjoy a romantic breakfast on the broad veranda. 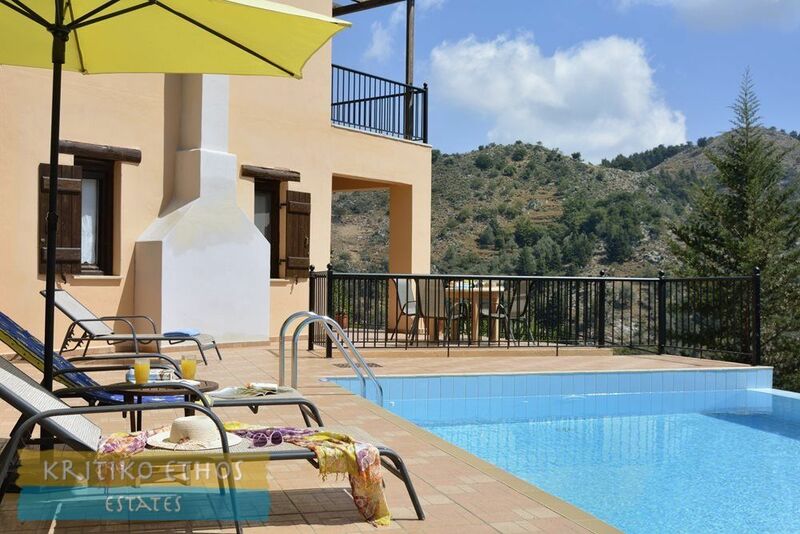 Indoors and outdoors blend beautifully at the villa, with an inviting swimming pool, barbecue area and series of terraces ... perfect for family meals under the stars and days just splashing around and enjoying the sun. 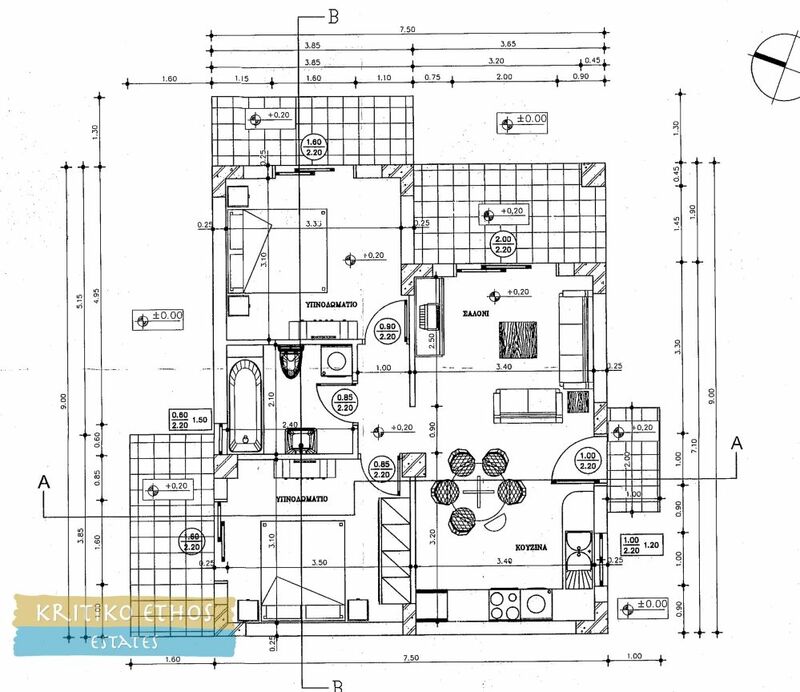 The ground floor comprises an open-plan sitting room, dining area, and kitchen plus a study and WC. 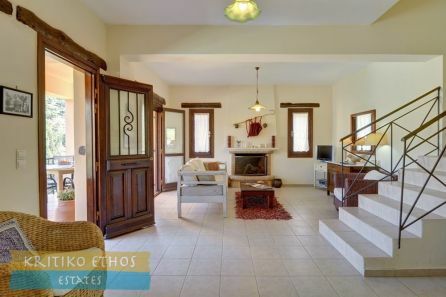 Large glass French doors lead from the sitting area to the broad mountain facing veranda. The views are simply stunning as well as serene from both inside as well as outside. 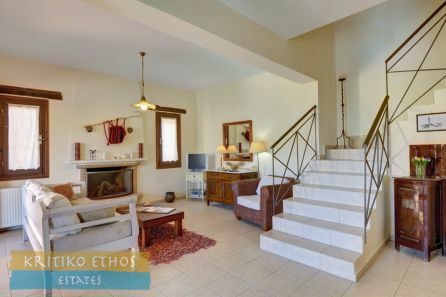 A staircase leads to the first floor with two bedrooms, each ensuite (one with a tub, the other with a shower). Each bedroom also has glass French doors leading to the first floor terrace with even more amazing views to the mountains and to the pool and barbecue area below. The 40 sqm infinity pool offers a broad tiled terrace with plenty of space for sun lounges. 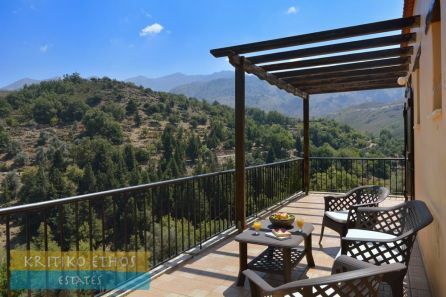 There is also a covered traditional barbecue at the far end of the pool terrace providing yet another wonderful area to enjoy Crete's fine year-round climate. 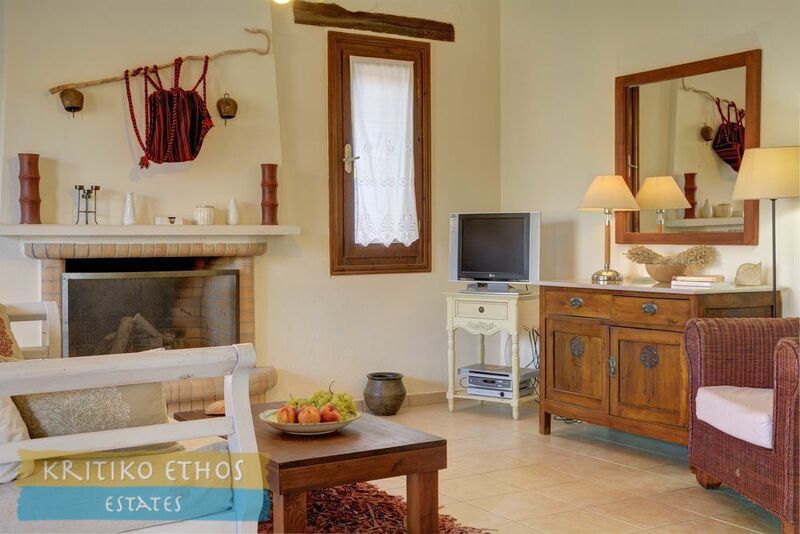 Therisso is known for its fine mountain air and of course its excellent tavernas and coffee shops. The home is just a short 3-minute walk from the village centre. 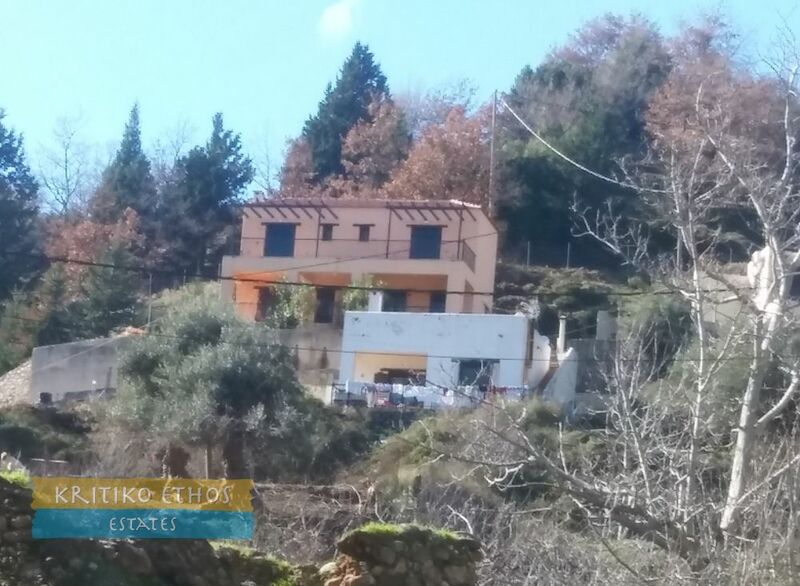 There is also a mini-market in the village. 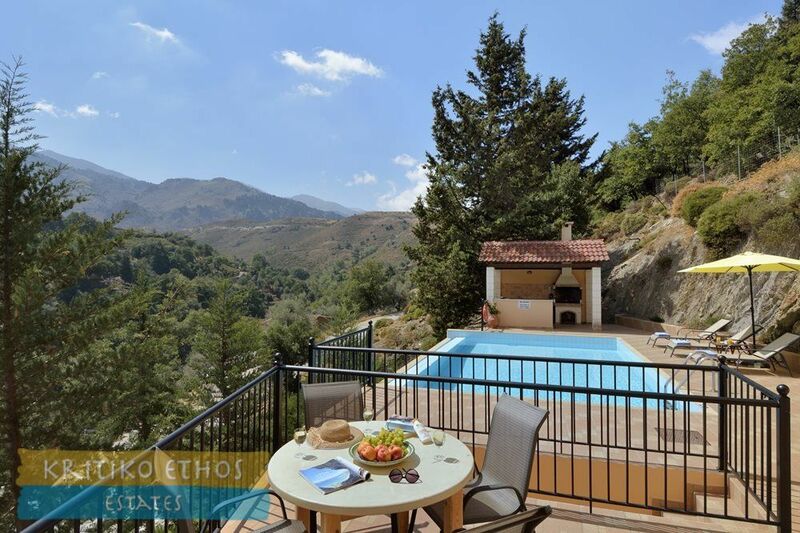 The nearest beach is about a 25 minute drive as is the great water park at Limnoupouli. 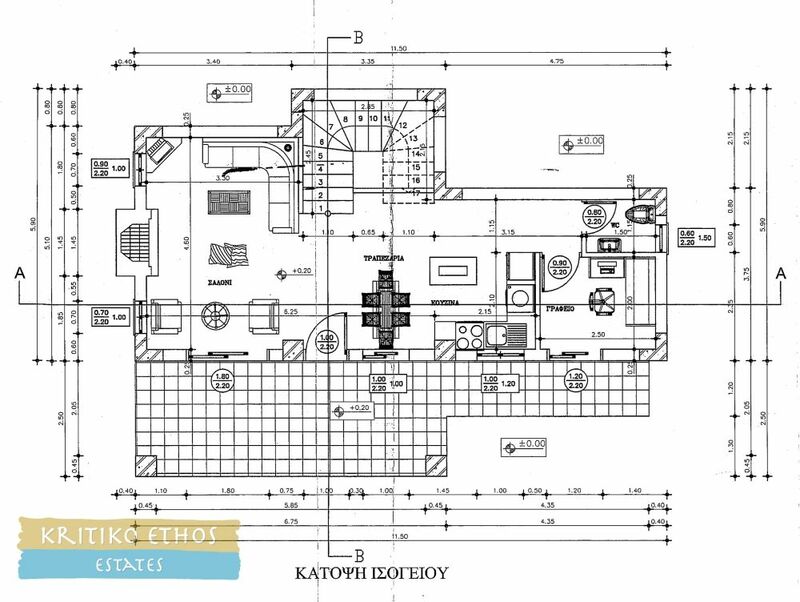 A 61 sqm one-bedroom home, also with a fireplace (but in need of some work) is also available. 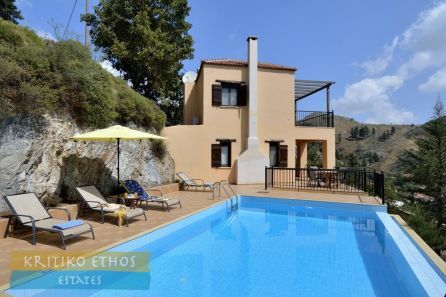 This has been used as the summer residence for the owners whilst the main home is rented. The current owners will certainly provide all details regarding rental income and client data to allow the new owners to continue this lucrative summer rental business should they desire. 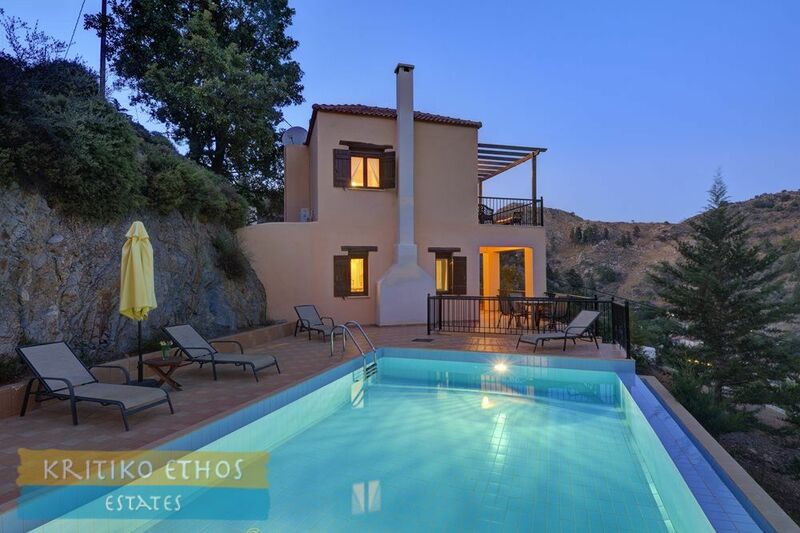 The last photo in the gallery shows both homes ... the second home is now completed. 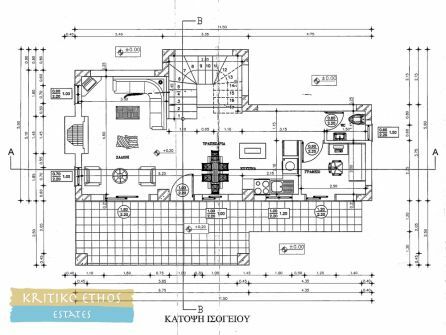 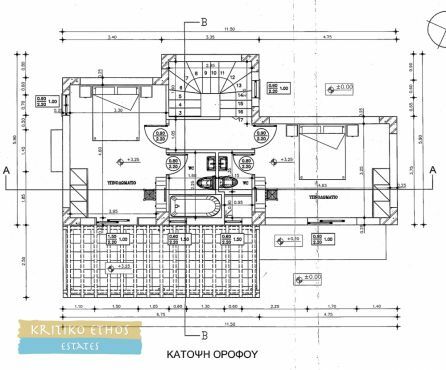 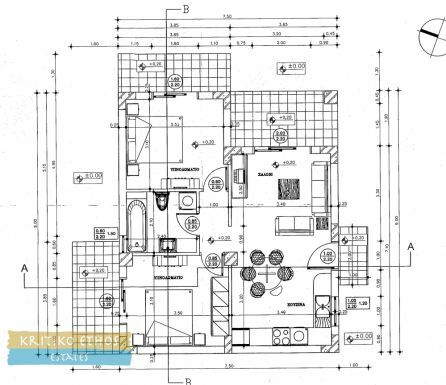 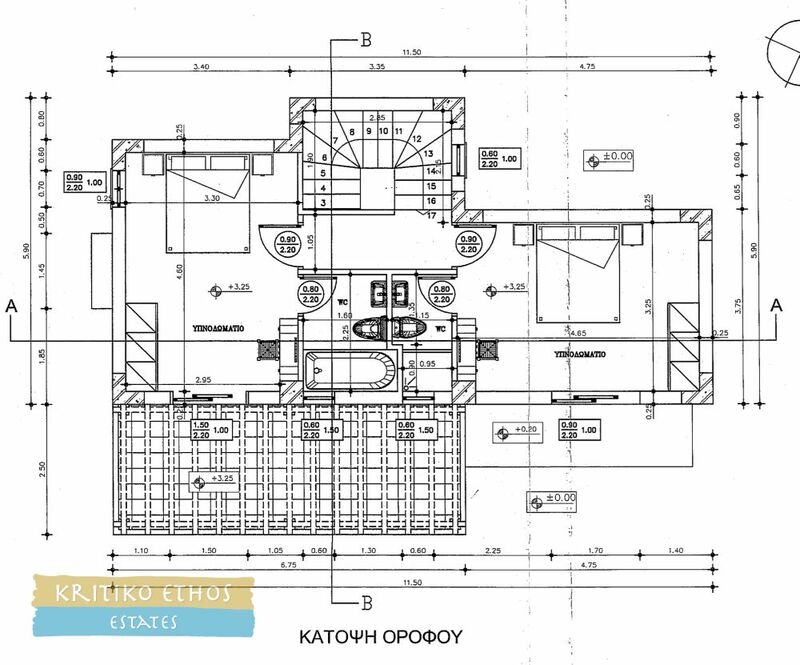 There is an additional 35 sqm building density available on the 600 sqm plot and the small residence could easily be enlarged if required. 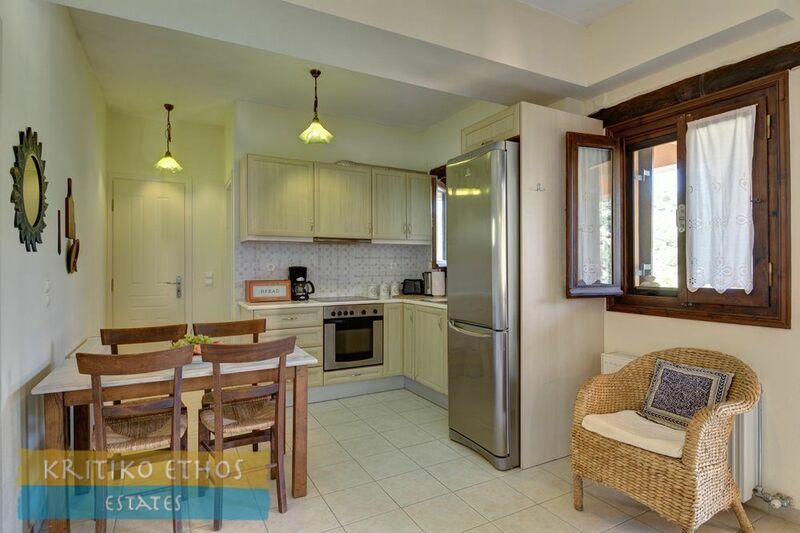 The selling price is inclusive of all white goods, furniture, fixtures, and fittings. 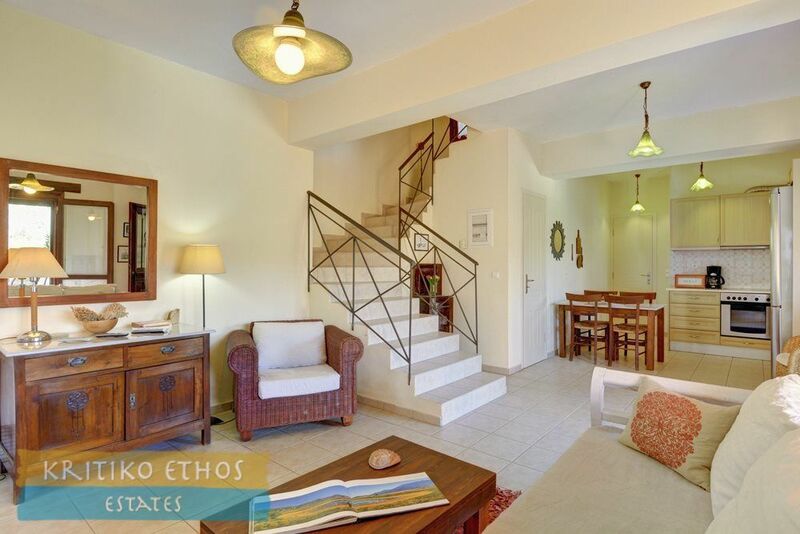 The home is ready for enjoyment (plus rental income) from the first day!